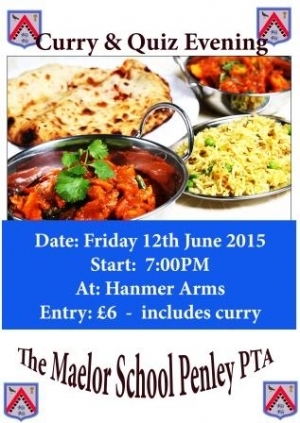 The Maelor School PTA are holding a Curry & Quiz Evening on Friday 12 June 2015. Starts 7.00pm at The Hanmer Arms, Hanmer. Entry is £6/person (includes curry supper).